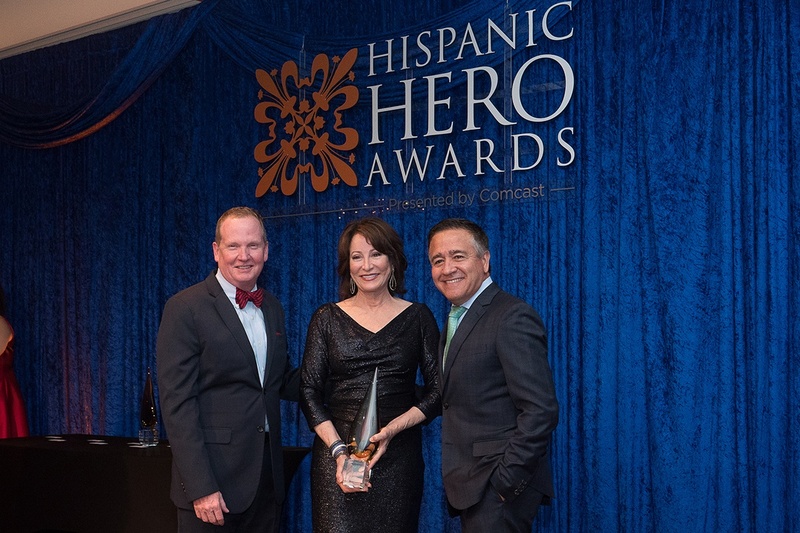 Comcast paid tribute to individuals from the Houston Hispanic community who have demonstrated an outstanding commitment in making a difference in the areas of volunteerism, mentorship, advocacy and civic engagement. The event also recognized Hispanic Heritage Month. The 2018 honorees were judged on criteria that included their personal impact in the community, helping further the mission of a nonprofit organization and overcoming personal obstacles. Longoria has served as chairman of the Port of Houston Authority, the leading economic engine for the greater Houston region, since she was unanimously appointed by the City of Houston and Harris County in January 2013. She has received numerous honors and recognitions since becoming a port commissioner in 2002. Port Houston owns and operates eight public terminals in the greater Port of Houston. The port is the nation’s no. 1 port for foreign waterborne tonnage and is an essential economic engine for the Houston region, the state of Texas and the nation.